Not that this is an earth-shattering story, but if you want to see how "anti-white" narratives are supported in mass media and entertainment, look no further than this particular scene from the Marvel Comics mini-series, Spider-Men written by Brian Michael Bendis. The comic deals with Peter Parker (aka Spider-Man) traveling to the Ultimate Universe and encountering an alternate version of Nick Fury (one who is now reflected in all films and media based on the character). Look at the exchange between Peter and Nick Fury leading to the final panel, where Nick reacts to Peter's description of what his double in the main Marvel universe is like. Fury: “Sorry to hear that. Of course, it's treated as a joke to show just how cool Ultimate Nick Fury is. However, just try to imagine what would happen if the tables were turned, and Peter told the main universe–and anglo–Nick Fury that the Ultimate Universe version was a black man, followed by a smirk and the line, "Sorry to hear that." The indignant cries of racism and outrage would be deafening. Oh yes, and in the Ultimate Universe, a teenaged Peter Parker was killed off in the summer of 2011 and swiftly replaced by a black character, Miles Morales (seen sitting next to Nick Fury in the car) who was trumpeted by Marvel as being the "Spider-Man for the twenty-first century." Because being white is apparently not only bad, it's also terribly passé and a thing of the past, don't you know? Unfortunately, the new replacement/diversity Spider-Man's sales numbers in Ultimate Spider-Man have plummeted to new lows for the title. Oops. James Fulford writes: The reader is clearly more knowledgable about the modern comic world than I am, but forty years ago, I was reading Sgt. 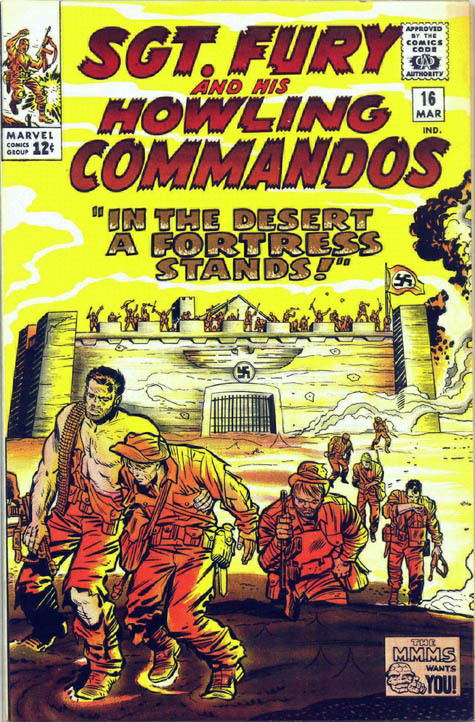 Fury and His Howling Commandos, at 12 cents a copy. The Howlers were a collection of ethnic stereotypes. They included “Rebel” Ralston, a white Southerner, Dino Manelli, Israel Cohen, and Gabe Jones, a black trumpet player, (the 60’s editors explained in the letter column that while the Regular Army was segregated during World War II, this unit was small enough that they could ignore that) plus the Irish strongman "Dum-Dum" Dugan, and an Englishman named Percival Pinkerton who was seconded from Britain's Paratroop Regiment. 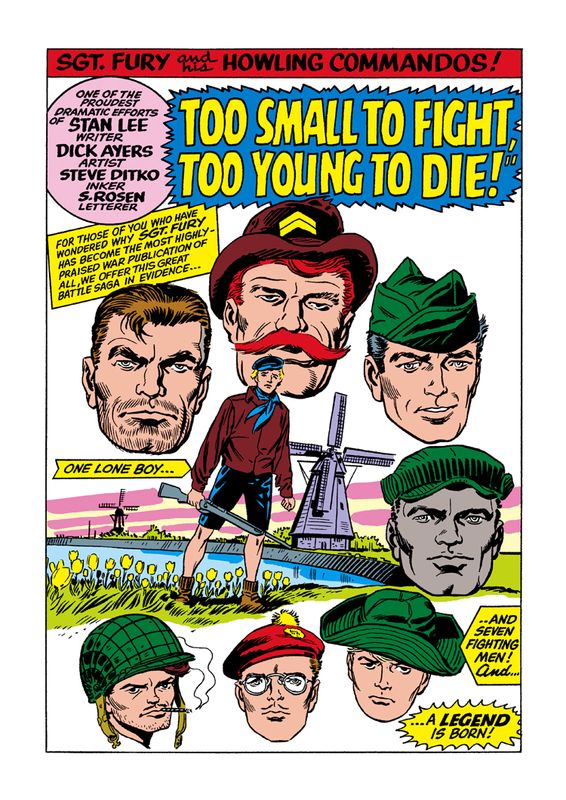 Their leader, Sergeant Nick Fury, was a regular American from Hell's Kitchen in New York—a White Anglo-Saxon Protestant. But, as the reader points out, he's now played in the movies by Samuel L. Jackson.